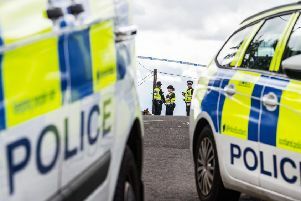 When police officers patrolling in West Lothian received reports of a vehicle carrying an abnormal load on a local route they interviewed the driver to make sure all was above board. A man – subsequently found to be celebrity philanthropist Santa Claus – was found to be in charge of a sleigh, and wa asked to perform a breath test. A police spokesman said: “Fortunately for the children of West Lothian, Santa was able to provide a negative breath test - so thanks very much, mums and dads, for the snifters of sherry you provide, but he knows that no alcohol when you’re driving is the best plan! Meanwhile it’s understood police have advised that if anyone other than Mr Claus is seeking unauthorised access to your home via the chimney (which typically happens once a year, late at night) they should be contacted immediately.